Eero, the smart WiFi system that uses mesh network technology and pre-dates Google WiFi by a good two years, is on sale today at Amazon in a 3-pack for $371.83 with Prime shipping. That’s a $127 discount and the best price we have ever seen on this modular-style router option. 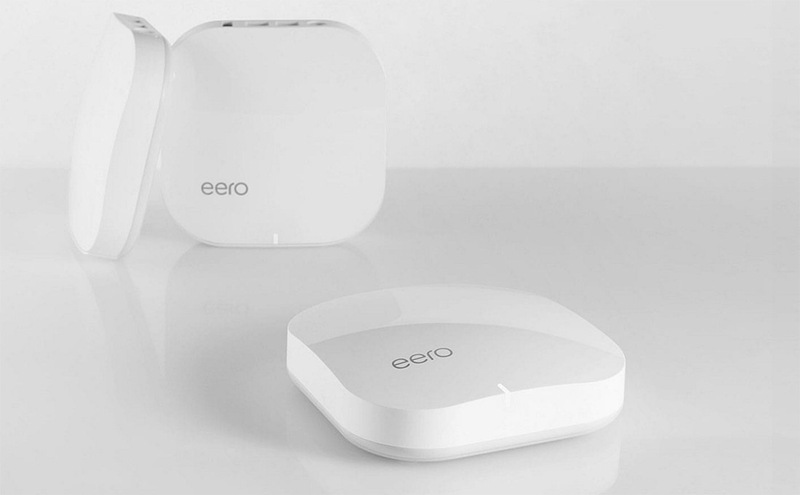 What is Eero? If you have been following Google WiFi news in recent months, well, there you go. Eero is the same idea, only it’s from a smaller company who has been pioneering this concept for a couple of years. Like Google WiFi, the goal of Eero is to blanket your house with WiFi, so that no corner goes untouched. You can start with a single unit and grow that to as many as you like. Eero is supported by a really nice Android app that recently saw its biggest update to date, gets constantly better through regular updates to the whole platform, and even works with Alexa. I’ve been an Eero user for a good 9 months now and can’t imagine leaving it. While I’m tempted to switch to Google’s more affordable option, Eero has been fantastic, especially through recent updates. And yes, Google WiFi is quite a bit cheaper than Eero, even with today’s discount, but that doesn’t mean it isn’t a solid product that I would recommend. Google WiFi is also sold out everywhere.